Dr. Sultana N. Nahar of the Ohio State University, USA on Dec 13 presented two awards with a cash prize of $150 to each best Muslim student with highest scores in the final year of B. Sc. The award ceremony was held at the Conference Room of the Department of Physics of AMU. Prof. Arunima Lal, Dean, Faculty of Science presented the certificate of merit to Ms. Zara Aftab and Mr. Mohd. Emadur Rahman. Dr. Sultana N. Nahar has deposited a cash amount of $12,000 for the capital fund of the four awards with the finance office of the University. For the teaching awards, the academic committee of the Department of Physics may suggest modifications. However, a cash prize of $400 will be awarded to a Physics teacher every year. 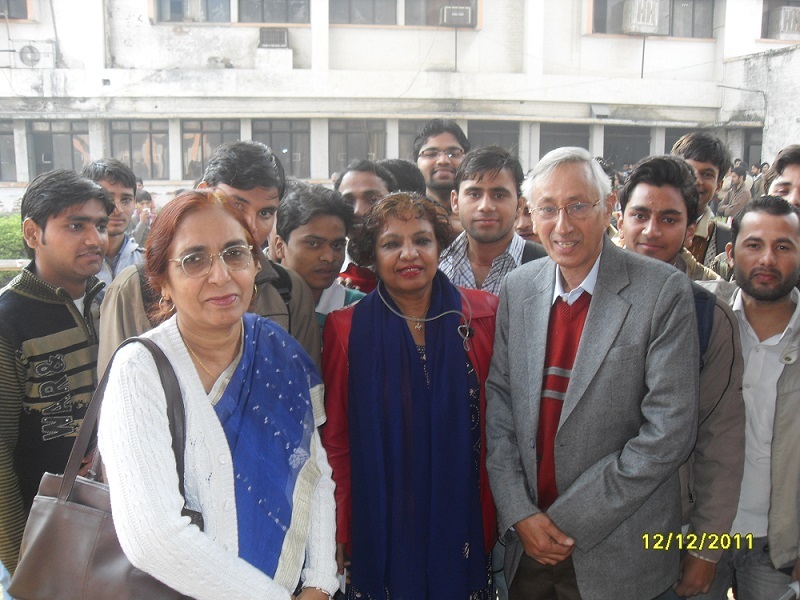 Prof. Wasi Haider, Chairman, Department of Physics said that Dr. Sultana is a scientist of international repute. She belongs to Bangladesh and presently working as Research Scientist in the Ohio State University (USA). She has published articles in 100 referred journals and chapters in several books. Prof. Arunima Lal, Dean, Faculty of Science acknowledged the contribution of Dr. Sultana N. Nahar for the encouragement of young students.